The EVGA GeForce® RTX™ NVLink™ bridge connects two NVLink SLI-ready graphics cards with 50X the transfer bandwidth of previous technology. This means you can count on super-smooth gameplay at maximum resolutions with the ultimate visual fidelity in GeForce RTX 2080 Ti and 2080 graphics cards. 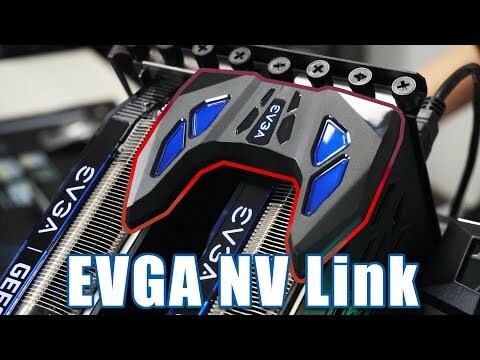 These bridges also support RGB lighting that can be configured in EVGA Precision X1 ! Features • Supports 3-Slot configuration (leaving a 1-slot gap between 2x standard dual slot cards). • Optimized for NVIDIA Surround, 4K+ and 144Hz+ gaming. • EVGA logo and RGB LED pockets can be configured in EVGA Precision X1. • Compatible with GeForce RTX 2080 Ti/2080 graphics cards. Important – Please Note: This NVLink Bridge is only compatible with GeForce RTX 2080 Ti & 2080 graphics cards. Images are for illustration purposes only. 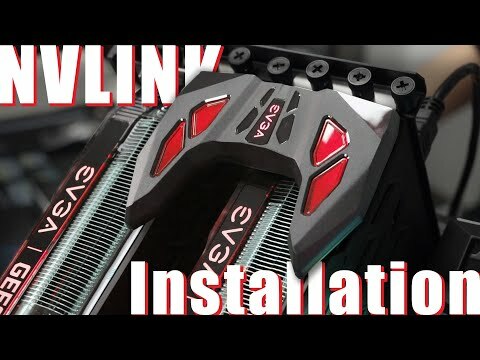 One (1) NVLink Bridge supplied only. Graphics cards not included, available separately.